Wife, mother, foodie, blogger and cookbook author Lisa Leake has turned a simple pledge to cook better meals for her family into a lifestyle recipe for success, and now she’s sharing how to eat better on a budget. Leake joined “Good Morning America” and showed off two easy recipes under $4 per serving to help college students dine well in the dorm room. For some, lasagna can be a time consuming and somewhat intimidating Italian staple to replicate in their home kitchen. But Leake shared her recipe with “GMA” for spinach lasagna to make the delicious vegetarian dish simple. Leake says this is the perfect dish to make on a college budget, costing just $2.56 per serving, and it only uses six ingredients. 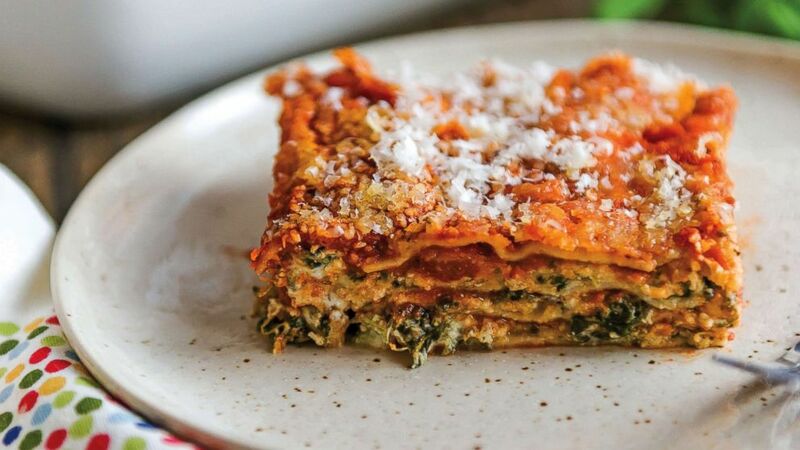 Check out her full recipe for the easiest spinach lasagna here. Leake says this great comfort food is satisfying and perfect for leftovers. But the best part is that this hearty and healthy meal rings in at just $3.43 per serving. Get her full recipe for the classic pork dish here.